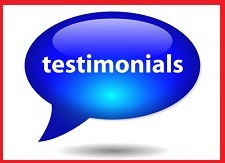 Welcome to our services page. High quality service at an affordable rate! ATV and UTV - Need to ship an ATV or UTV (side by side)? 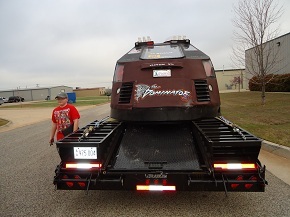 Transporting an ATV or UTV is very simple for us. We have trailers designed to transport safely anywhere in the continental USA. 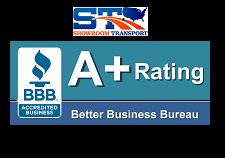 Automobile - Have your vehicle transported by a company that has been in the auto shipping business since 1994. We move small vehicles to large trucks. 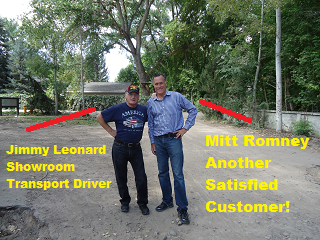 We ship by open trailer or enclosed. 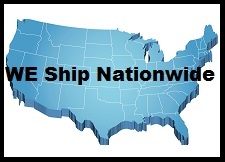 Boat - Since 1994 we have been moving boats all over the continental USA. We transport boats up to 12ft beam (width). We can ship your boat if its on a trailer or not on a trailer. We move all types of water marine crafts such as jet skis and jet boats as well as power boats and sailboats. Equipment - We haul heavy construction equipment to agricultural equipment. If you need a reliable transporter to ship your equipment then contact us. Food (Frozen or not) - For Business only: We have temperature controlled refrigerated trailers to keep your food at the temperature needed to transport your food safeley to and from anywhere in the USA. Freight - We can haul most types of freight, from full loads to LTL (less than truck Load) Freight. Lumber - We transport full loads of lumber to partial loads of lumber anywhere in the continental USA. We have 48ft to 53ft flatbed trailers. Machinery - We haul heavy machinery. Military Equipment - We ship military trucks to military equipment. 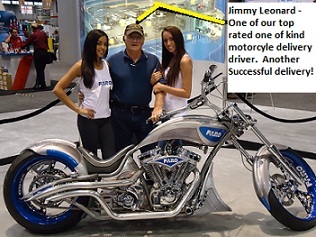 Motorcycle - Our method of shipping motorcycles is superior. We only transport motorcycles in an enclosed trailer. We deliver regular 2 wheel motorcycles to trike 3 wheel motorcycles which include canam spyders and sling shot motorcycles as well as your standard trike. 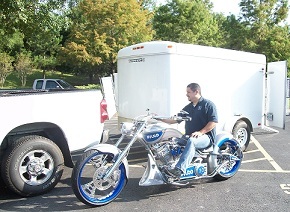 We also move custom chopper motorcycles. 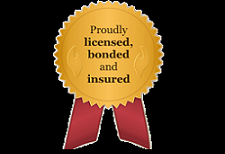 RV (recreational vehicle or camper trailer) - Since 1994 we have been the leader in transporting RV motorhomes and RV Trailers all over the USA. We can tow your 5th wheel or travel trailer. We can haul or drive your motorhome from A to B. Tractor - We transport most types of tractors state to state, local and long distance in the continental USA. Since 1994 we have been moving antique tractors to modern farm tractors. We have specialized trailers to ship a tractor safely. Trailer - We tow camper style trailers, semi trailers, boats on trailers, horse trailers and so much more. Need a trailer shipped? We have the best and safest drivers to transport a trailer. We have many types of service for whatever you are shipping. 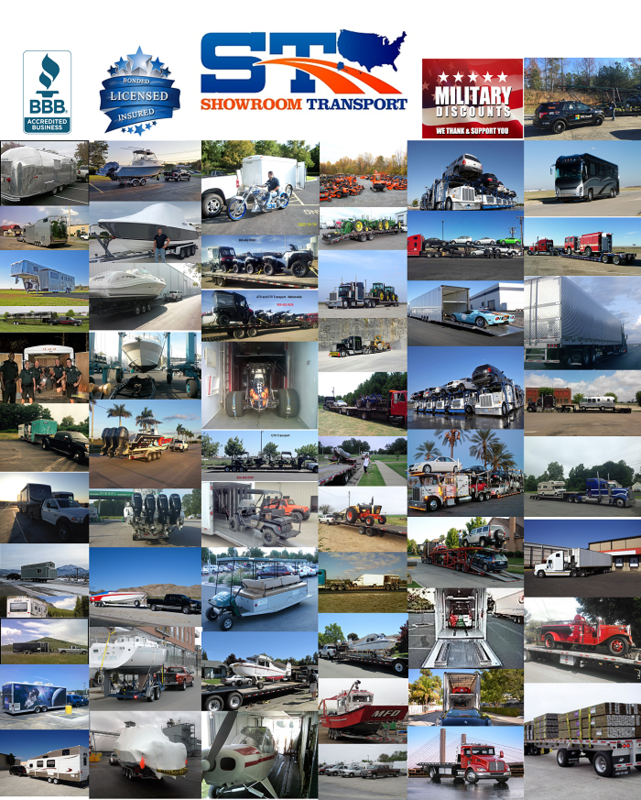 Copyright © Showroom Transport 1994 - 2017. All Rights Reserved.